We are introducing most cost effective & efficient SWR Drainage System which is fast replacing most of the conventional systems used in building industry. We believes only in supplying quality products aimed at global market. SWR Drainage pipes confirm to IS: 13592 & fittings confirm to IS: 14735. The system consists of Pipes & Wide range of fittings with various traps to make the system complete. 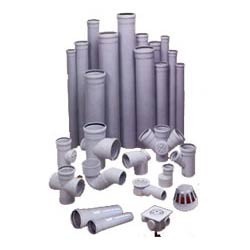 Pipes and fittings are available. Pipes are available in two varieties i.e. TYPE A - For Ventilation & Rainwater application. SWR Drainage pipes confirm to IS: 13592 & fittings confirm to IS: 14735. The system consists of Pipes & Wide range of fittings with various traps to make the system complete. 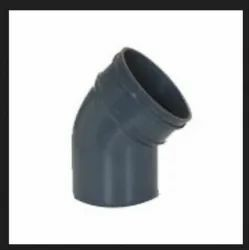 Pipes and fittings are available in 75mm, 90mm, 110mm, and 160mm. Pipes are available in two varieties i.e. Supreme “Skyrise, hi-tech building drainage system is a premium product especially designed for hi-rise buildings or any premium projects where regular S.W.R. do not suffice the modern day construction requirements.